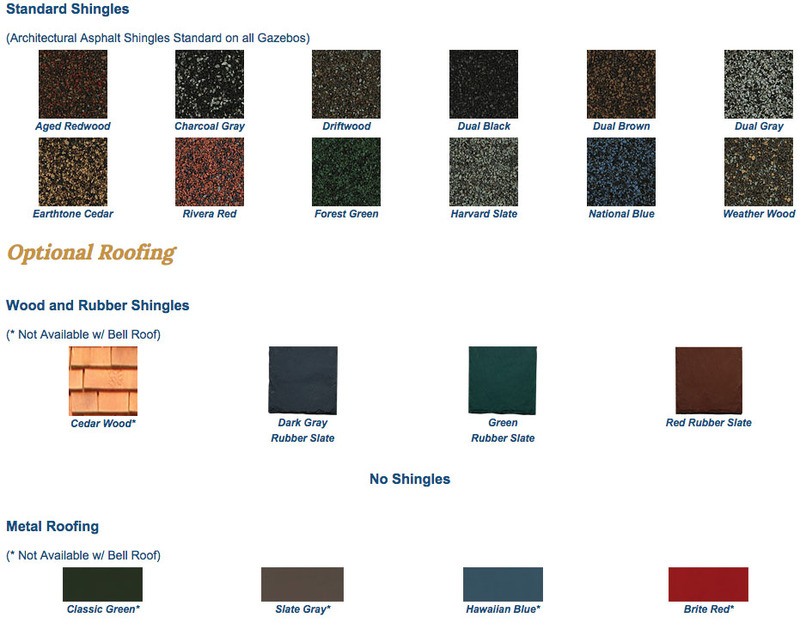 Ivory Vinyl, Bell Roof, Asphalt Shingles Assembled with stainless steel screws and glue coated galvanized fasteners. Engineered to withstand strong winds & heavy snow loads. Made from reinforced vinyl materials which require little maintenance; only occasional cleaning. Craftsmanship and materials are backed by a ten year limited warranty. Extra Screen Door: Add multiple entrance points. Specifications: Double 2"" x 4"" Rafters: Our double rafters give your gazebo roof a heavy-duty load capacity and help prevent beam warping. Reinforced Connecting Plates: (Stainless Steel) These brackets give your gazebo a greater snow load capacity and higher wind resistance. Reinforced Vinyl Posts: These posts give the structure the rigidity needed to weather all the seasons. Stainless Steel Screws: Stainless steel screws maintain the long life of your gazebo and offer a high-quality finished appearance. 2"" x 6"" Braces: These braces offer additional strength and control side motion. 36"" High Rails: Brings railings up from the standard 32"" to 36"". Great for higher elevations. 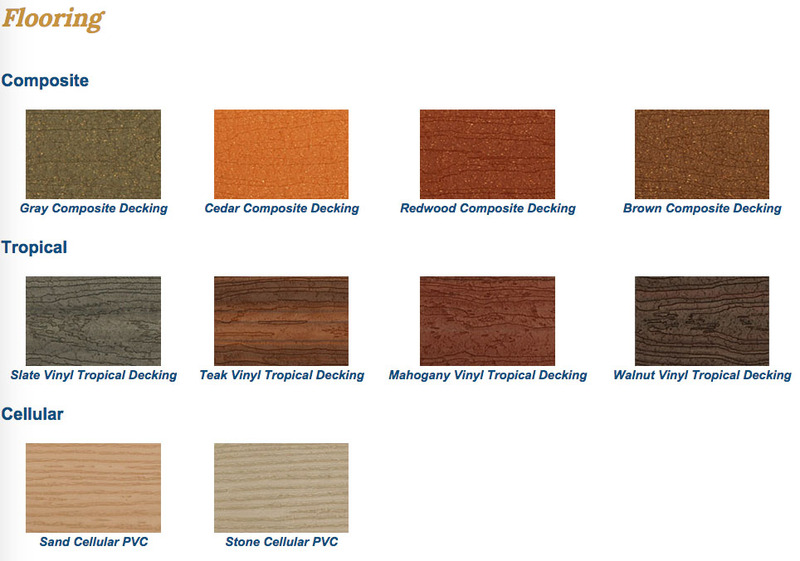 1"" Thick Composite Decking: Composite decking means there's no need to paint or stain your decking with long-lasting stainless steel screws that resist rust for many years. 1"" x 6"" Tongue & Groove Ceiling: This roof gives the underside of your gazebo a high quality finish, and allows for greater snow load capacity. 2"" x 8"" Compression Ring: The compression ring ties the rafters and posts of your gazebo together for additional snow load capacity and wind stability. 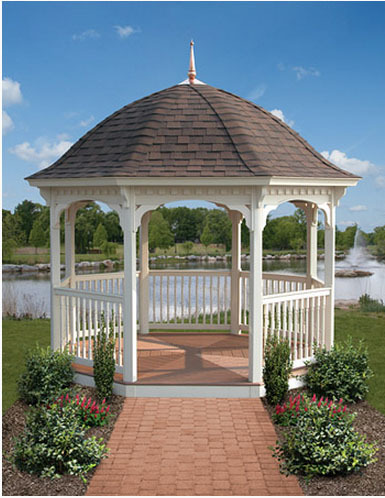 Seamless Corner Caps: Give the base of your gazebo a seamless look and high quality finish. 9"" Stabilizing Screws: This hidden, but very important part ties the roof and braces together for added lateral strength. Double 2"" x 6"" Floor Joists: Helps prevent warping of joists and popping of floor boards. They also allow for a better straight down fastening of the floor board, giving your deck a stronger, longer-lasting life.